Philip Townsend’s exceptional career as a photographer only lasted for a period of a decade. Luckily for us, it was not just any decade. 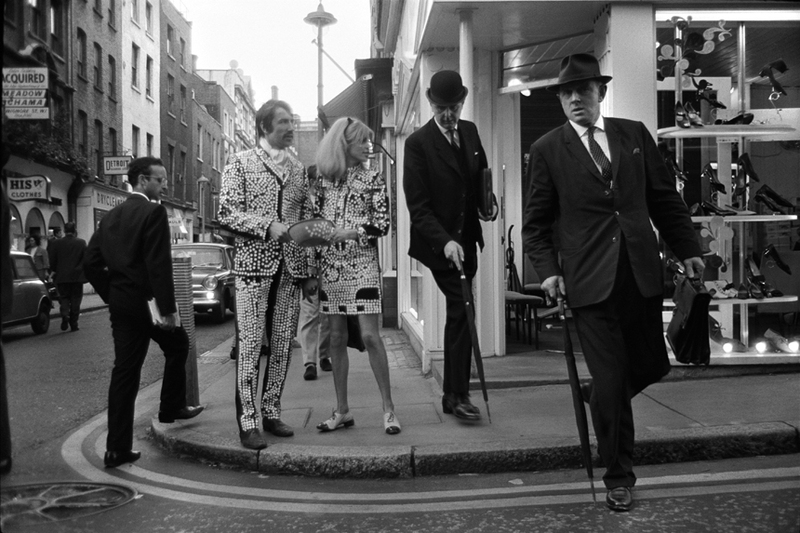 Townsend was the photo reporter of the Sixties, the decade that carried Great Britain from post-war austerity through to a consumer economy and during which London was the world’s most fashionable capital city. The subjects of Townsend’s camera lens were Pop icons, business magnates, politicians, high society and the various personalities of a period of great social and technological change. Winston Churchill is seen side by side with Aristotle Onassis, Twiggy, the Rolling Stones, the Beatles and Frank Howerd on a skateboard. These images are not portraits but the Sixties’ equivalent of Cinéma Verité. Townsend’s lens gives us a personal and immediate access to that era. Looking at this substantial photo archive, those who lived through that decade can immediately find their own memories and subjects, while for younger people the inevitable reaction is “I wish I’d been there”. The photographs open a window on what was unquestionably the decade of social revolutions.